To Ariana Grande-Butera, singer, actor. From Annam Irshad. Dear Friend You are the best and I really like your music. All of your songs I know by heart. You truly inspire me to sing. 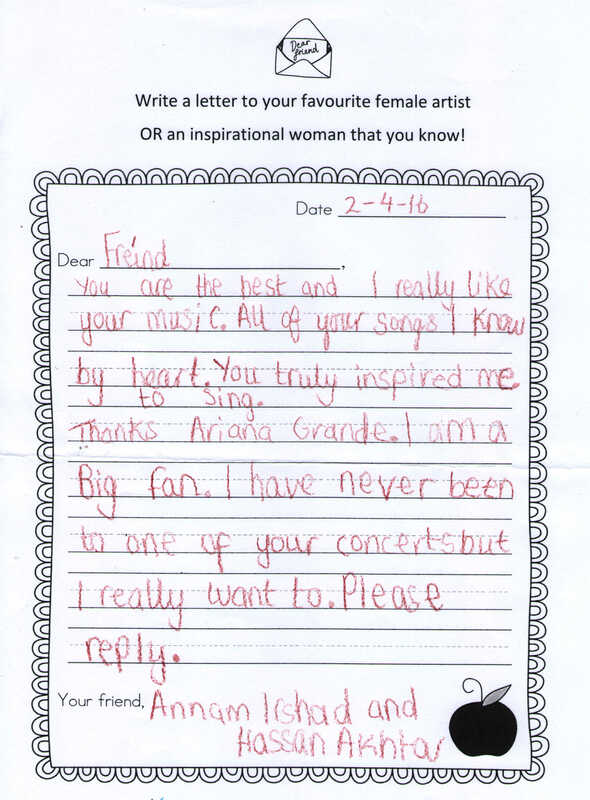 Thanks Ariana Grande. I am a big fan. I have never been to one of your concerts but I really want to. Please reply. singer, actor. Born 1993. More information about Ariana Grande-Butera.